DOD: 22 September 1929 Parkville Vic. Carlton President: 1874, 1875, 1876, 1877, 1878, 1879, 1880, 1881, 1882, 1883, 1884. Carlton Vice President: 1871, 1872, 1873. 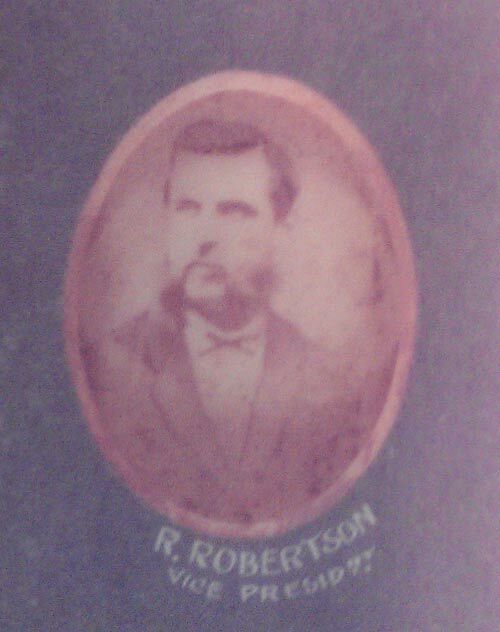 Little is known of his playing career, but Robert Robertson was a great servant of the club with at least fifteen years in the administration. Fourteen of those years were served as President or Vice President. The above picture is courtesy of Regimental Books. 1871 Robert Robertson twice captained the Carlton's vice presidents side against a Carlton president's team at Royal Park. The first was June 3 and the second at Carlton's season's break-up Saturday 14th. October. Colonel Robert Robertson aged 83, former Carlton President, and former commanding officer of the Militia Infantry Brigade died. Robert aged 83, passed away at his home 99 Royal Parade Parkville on September 22 1929, just four days after the death of his wife Rosa. 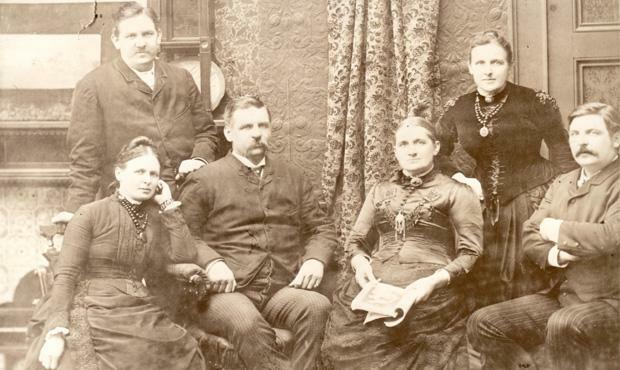 George, Robert, and Val (from left to right) with their sisters, in 1887. Page last modified on Friday 16 of February, 2018 09:24:27 AEDT by blueycarlton. 1987 2nd Semi - Glascott & Rhys-Jones go for the loose ball. 1978 1st Semi - Jones & Doull happy about the report of Phil Carmen.